Construction on the South Main Street sidewalk project in Montrose is expected to begin this spring. The project has involved several different entities working together to coordinate work efforts. 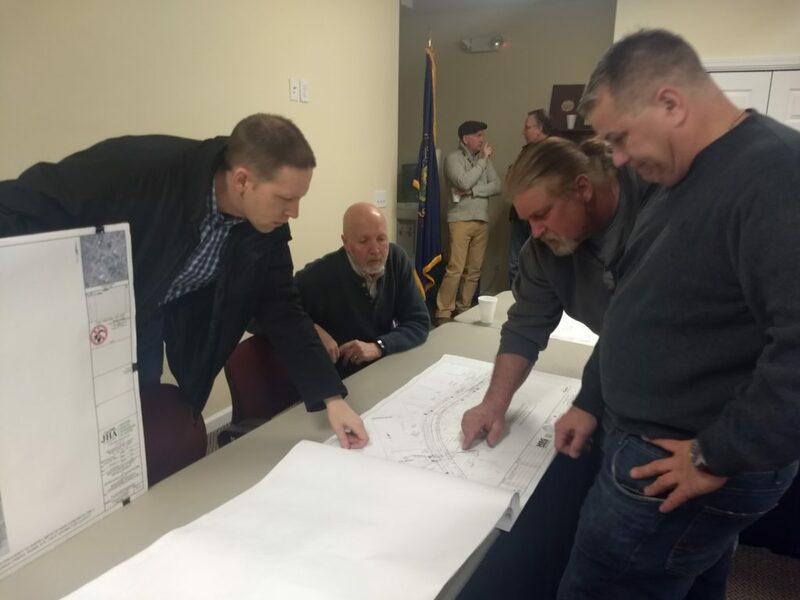 An informational meeting attended by business owners and interested residents was held Monday, Feb. 11, at the Montrose Borough Building. Project engineers, along with companies involved in phases of the overall project, were on-hand to answer questions. The South Main Street sidewalk project continues the revitalization work started with the replacement of lighting and sidewalks on Public Avenue and Church Street over the past several years. 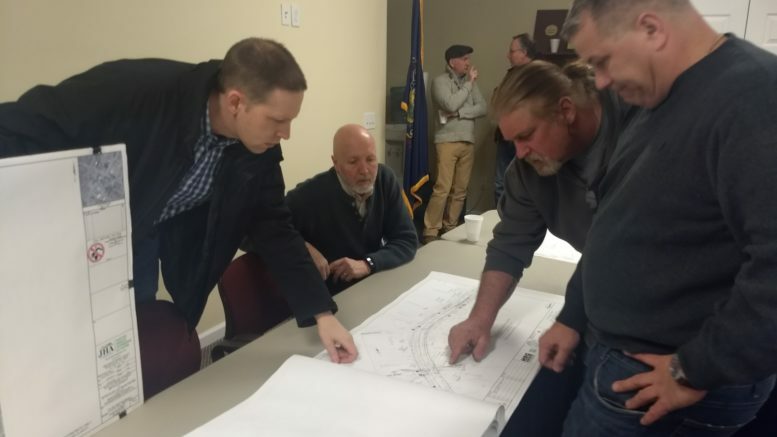 The South Main Street plan has been in the works for several years, but was put on hold until Pennsylvania American Water Company was able to complete its work on the street. In late 2018, PAWC installed a new water main and installed new services. Leeward Construction has been contracted to provide restoration work as part of the water project. PennDOT’s Susquehanna County highway maintenance manager Brian Small said PennDOT will oversee the streetscape project’s operation. And, although not part of the actual sidewalk project, PennDOT plans to resurface a portion of South Main Street, tying in to the recent Church Street paving south to about Cemetery Street. JHA Engineer Tad Moser said the sidewalk improvements should take about six weeks of actual construction to complete. Improvements will include replacing the walkways, as well as adding in decorative street lights – like ones already installed in the town – and planting of trees. Work is expected to start in April, following PennDOT’s approval of the schedule to be submitted soon by Leeward. Be the first to comment on "Spring start planned for Montrose South Main St. sidewalk project"